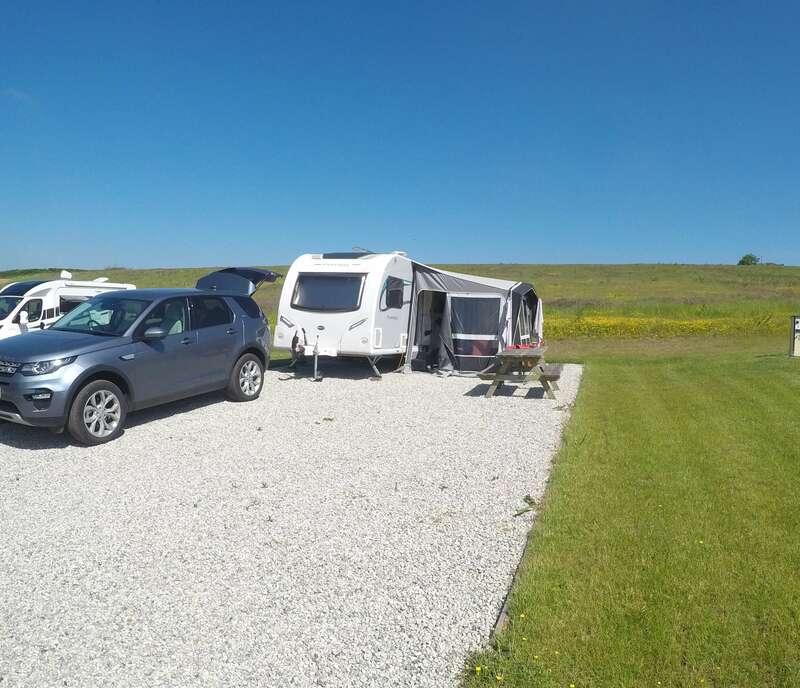 Experience our spacious grounds on your next touring and camping holiday in North Devon! Our campsite is in the heart of beautiful North Devon and surrounded with space and fresh air. The old walled garden is ideal for camping, with sheltered level pitches and located close to the pool. 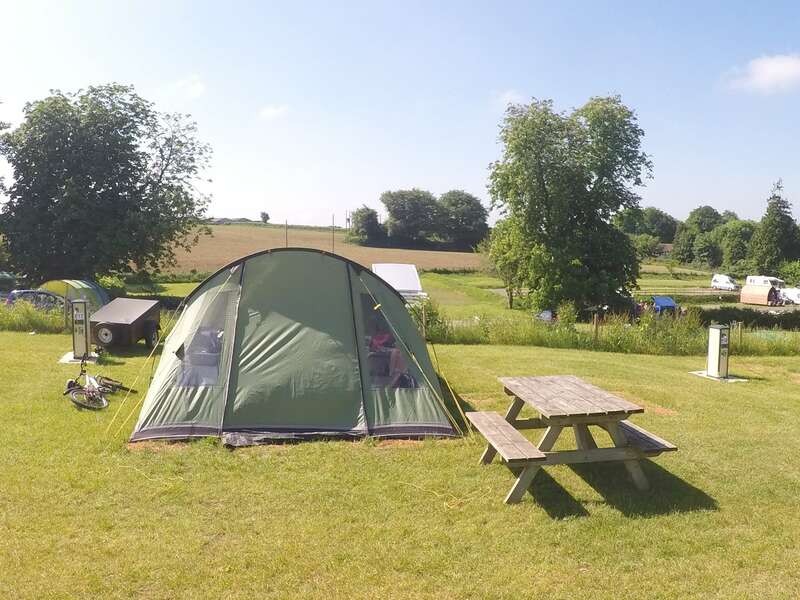 It also has a small covered kitchen area for those campers that arrive on foot or by bike (ask about our special lower rates if you’re arriving via the Tarka Trail!). All pitches in the walled garden have 16 amp electric hook ups. Along one side of our driveway we have the original terraced area - particularly good for caravanners. With hardstanding and grass, all pitches are level and come complete with 16-amp electric hook ups. The Orchard was created in 2017 and boasts a variety of pitches including large, standard and serviced pitches. For those of us that enjoy the luxuries in life we even have en-suite pitches. These pitches have their own washroom and toilet in a timber clad cabin. 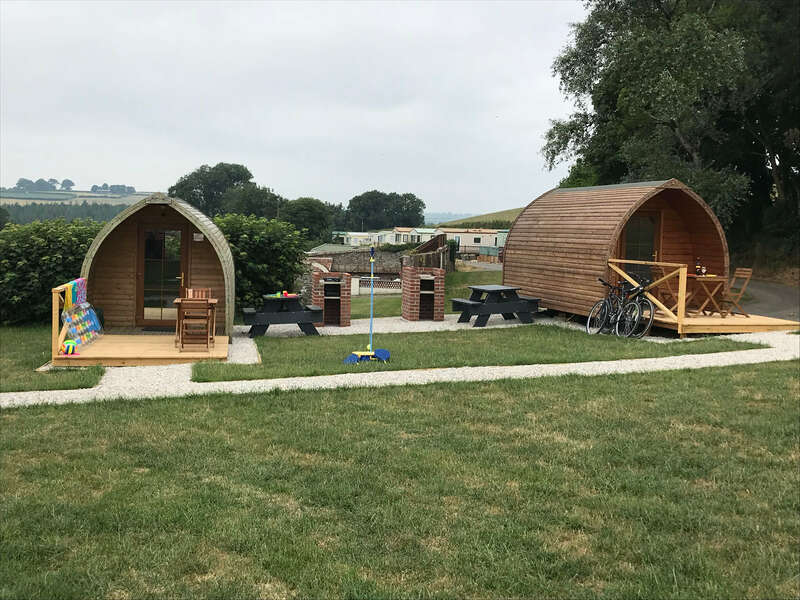 Here at Smytham Manor, we’re family run and understand the value of family camping holidays, the freedom of allowing your kids to play outside, and the enjoyment it can bring to the whole family. With this in mind, we ask that you please respect other visitors by not playing any loud music. 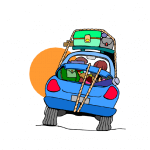 While we do not provide entertainment, there is always plenty to do, so if you just want to enjoy the countryside and open space then come to us for your next touring or camping holiday in North Devon! Seasonal pitches are also available at Smytham Manor - contact us to check availability.